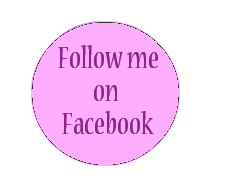 I am writting this post to share with you my new discovery ! Ever since my pregnancy I fret about all the nasty ingredients in conventional beauty products... Therefore, I started relying on natural and bio-organic material...at least whenever they live up to their promises! And I guarantee that the green clay works wonders! 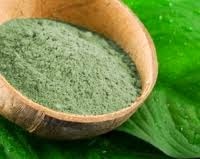 I was aware of its remarkable effects as detoxifier and purifier, as an extraordinary component in hair and skin masks. But my physiotherapist (I had a very bad tibia fracture on September and still undergo a rehabilitation program) introduced me to another of its extraordinary powers: it is very effective in relieving muscular or joint pains and indeed relaxing the muscles. I apply it around my feet, wrap it with a cotton cloth and leave it for 1 hour, or even overnight! When I rinse it I really feel the difference! 1. As a bacteria-destroying agent it can render contaminated water innocuous. 4. It acts like a sponge and a sticky paper for chemicals, pollutants, toxins. 7. Ideal for age spots and sun damage. It is extremely cheap, less than 10€/kg. You can buy it at the pharmacy, special natural "bottegas", or even online here. Do you know other remedies of the green clay ? I am so interested to know! Before pregnancy I was more careless about the chemicals in beauty products...then I got more informed, and now I try hard not to use them when I can find a good alternative! I will share more of my natural discoveries in the future! Εγώ χρησιμοποιώ μασκα προσώπου με πράσινη άργιλο της Apivita και την λατρεύω! Καθαρίζει σε βαθος και αφήνει απαλό το δέρμα. Για το σώμα μα θέλω να ψάξω! Υπέροχη λύση και για την κυταρίτιδα! I have used green organic clay ever since I was a teenager, it's always been part of my weekly skin routine, I couldn't live without my clay mask! I didn't know it had so much functions! Thanks for sharing! Thanks for your vote, Georgia! I really appreciate it! This was so interesting, i had no idea about the product. I am grateful for your kind comment over at mine. I love when I can find natural solutions to replace chemical ones! I think it really has a long term impact on my health. This was something new for me--- that for educating me on the wonders of green clay! I've never heard of this before, it seems like a great product! I never heard about green clay, so thank you for sharing details about this product. Well who knew the things you put on your face can actually relieve you of some horrible pain? And this is as green as it gets, literally, so there's no way this could be bad for you. Anything that keeps pain away is awesome in my book, as it prevents people from feeling awful. But in this case, they'd feel even better to find out that this can make them beautiful. Thanks for the tip!